Ubisoft expects Odyssey to be a best-seller. Assassin's Creed Odyssey is currently having the best launch-week in the franchise for this console generation based on internal estimates. Good reviews and positive early reception propelled Odyssey to strong sales. Senior vice president of sales and marketing Geoffroy Sardin says, "Launch is just the start of this epic journey. [Ubisoft has] robust content plans for Assassin's Creed Odyssey that will keep players engaged and exploring the game's beautiful and compelling world for a long time to come." The season pass for Assassin's Creed Odyssey includes two major narrative quests, Legacy of the First Blade and The Fate of Atlantis, each with three episodes per storyline. All players will also get the free story missions, The Lost Tales of Greece and Discovery Tour mode. Assassin's Creed 3 and Assassin's Creed 3: Liberation Remastered are also included in the Season Pass. Sardin says that Ubisoft expects Assassin's Creed Odyssey to "be one of the top performing Assassin's Creed games of all-time." Strong reviews and early impressions helped drive Assassin's Creed Odyssey to success. Assassin's Creed Odyssey takes place during the Peloponnesian War where players choose to play as either Alexios or Kassandra in their quest to navigate between the conflict between Spartans and Athenians as a mercenary. You can read our Assassin's Creed Odyssey review here. Odyssey is also the newest Assassin's Creed game to dive deeper into RPG-territory after Assassin's Creed Origins. 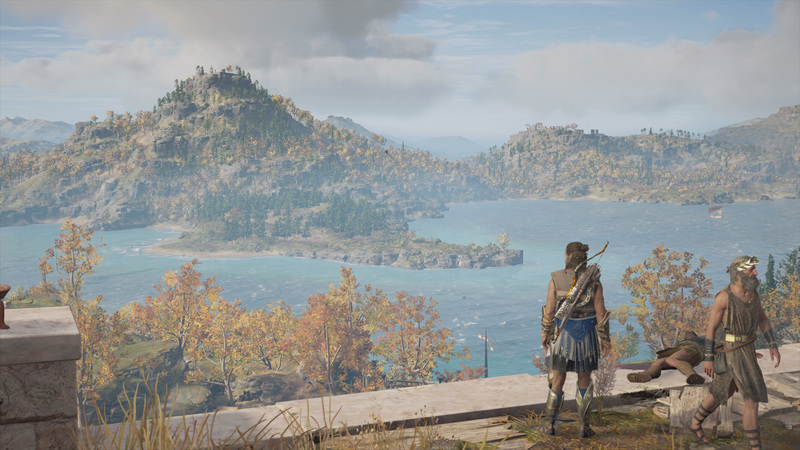 The leveling in Odyssey stirred some controversy, but largely Assassin's Creed Odyssey shows the next-step in the franchise, at the expense of older, more action-focused Assassin's Creed games in the series. Check out our Assassin's Creed Odyssey guide for a full walkthrough.